Situated close to Lakeside pool with views of the golf course, this town home in Santa Fe II, Scottsdale, Los Libros is on one of the quietest streets in Santa Fe II. Updated unit with tiled patio and landscaped backyard with lighting and irrigation. New Roof, AC, Fresh Paint and updated tile. Excellent opportunity to live in this highly sought after community. Friendly community with low HOA fees and no land lease. See today. Open houses every weekend. 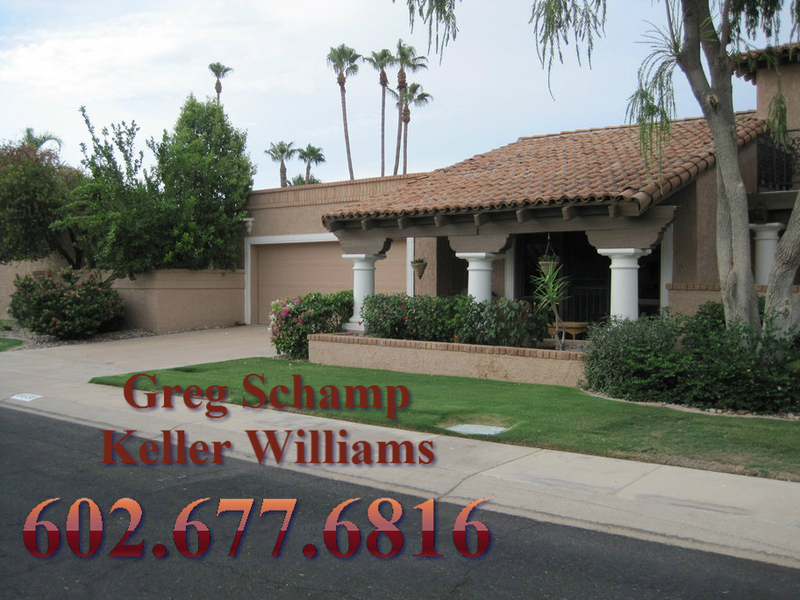 Contact us for a private tour…Greg Schamp 602.677.6816. For all your SCOTTSDALE and PHOENIX Real Estate needs. To search the MLS like a Realtor CLICK HERE.